CRYSTALON - crystalon.io - Поговорим о том, что вас интересует. Поговорим о том, что вас интересует. 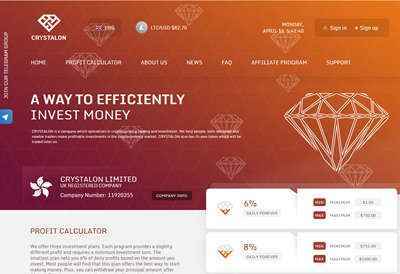 : CRYSTALON - crystalon.io - Поговорим о том, что вас интересует. 16.04.19 18:31;Account;Receive;Received Payment 0.9 USD from account U19968097 to account U1294000. Batch: 256140089. Memo: API Payment. CRYSTALON. 16.04.19 12:35;Account;Receive;Received Payment 1.38 USD from account U19968097 to account U1294000. Batch: 256071773. Memo: API Payment. CRYSTALON. 20.04.19 12:49;Account;Receive;Received Payment 1.43 USD from account U19968097 to account U1294000. Batch: 256699611. Memo: API Payment. CRYSTALON. 20.04.19 03:13;Account;Receive;Received Payment 1.33 USD from account U19968097 to account U1294000. Batch: 256646149. Memo: API Payment. CRYSTALON. 19.04.19 18:21;Account;Receive;Received Payment 0.89 USD from account U19968097 to account U1294000. Batch: 256616536. Memo: API Payment. CRYSTALON. 19.04.19 12:25;Account;Receive;Received Payment 1.37 USD from account U19968097 to account U1294000. Batch: 256557157. Memo: API Payment. CRYSTALON.